When visiting Dublin, nothing could be better than to start off your day with having a typical Irish breakfast. It is safe to say that almost all pubs and restaurants have an Irish breakfast on their menu, but of course there are a few outstanding among them. At The Green, we picked out our favourite places for a cup of coffee and a delicious Irish breakfast. Queen of Tarts is a big hotspot in Dublin. In 1998, sisters Regina and Yvonne Fallon trained as pastry chefs in New York City, returned home to Ireland to establish and run their own café. Tarts, meringues, crumbles, cookies and brownies, every food that makes the heart laugh, they sell. 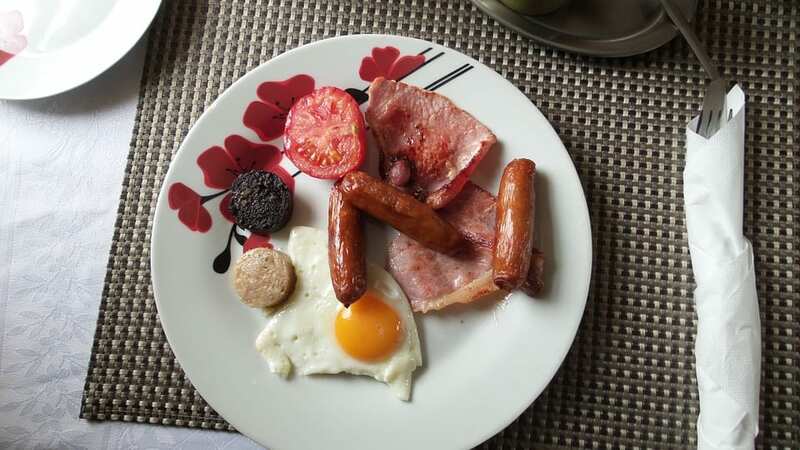 But, also having a full Irish breakfast here is promised to be one to remember. Elephant & Castle is one of Dublin’s most popular restaurants and is the perfect spot to have your Irish breakfast. The restaurant is located in the bustling Temple Bar, which makes it the perfect central location. There is one downside about the place, it can be very busy and there is a no-reservation policy. If you’re more in for starting off your day in a cosy corner of a pub, O’Neills is the right place to go to. Across the world-famous Molly Malone statue, cosy and spacious O’Neill’s Restaurant & Bar is located. Lonelyplanet even put O’Neills in their top 5 places of “Real Irish Food in Dublin”, so this breakfast is promised to be a good one. Located in the heart of Dublin City, Avoca Suffolk Street is a 7-level mini-department store. Have a look around in the beautiful store, and finish at the food market and café afterwards. Of course, a delicious full Irish breakfast can be enjoyed here. A true hidden gem for breakfast is Beanhive, which is located next to Stephen’s Green Park. People talk about this breakfast as the “best Irish breakfast they ever had”, which is not easily said. The coffee at Beanhive is also worth the try, so you could speak of a perfect spot to start your day. Close to Stephen’s Green Park, Gerry’s is located. Gerry’s is one of Dublin’s oldest restaurants/coffee shops and owned by an Irish family. A variety of locals and tourists can be found in the café, sipping their coffee and enjoying their delicious breakfast. We’ve now provided you with only six of the thousands of places in Dublin to get an Irish breakfast, but it should be a good start in your decision of where to start off your day in the city. Also looking for the best coffeeshops of the city? Read this blog to see our selection of favourites.